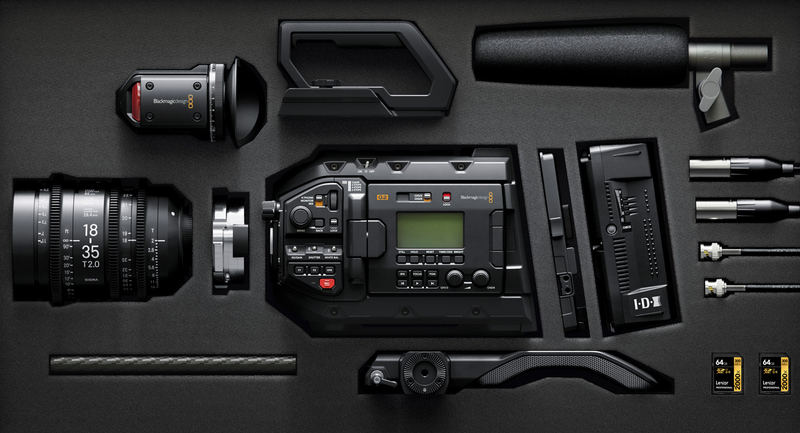 Blackmagic updates the popular URSA Mini Pro 4.6K today with new electronics, Super 35 4.6K HDR image sensor, 15 stops of dynamic range, 300 fps high frame rate shooting, Blackmagic RAW and more. 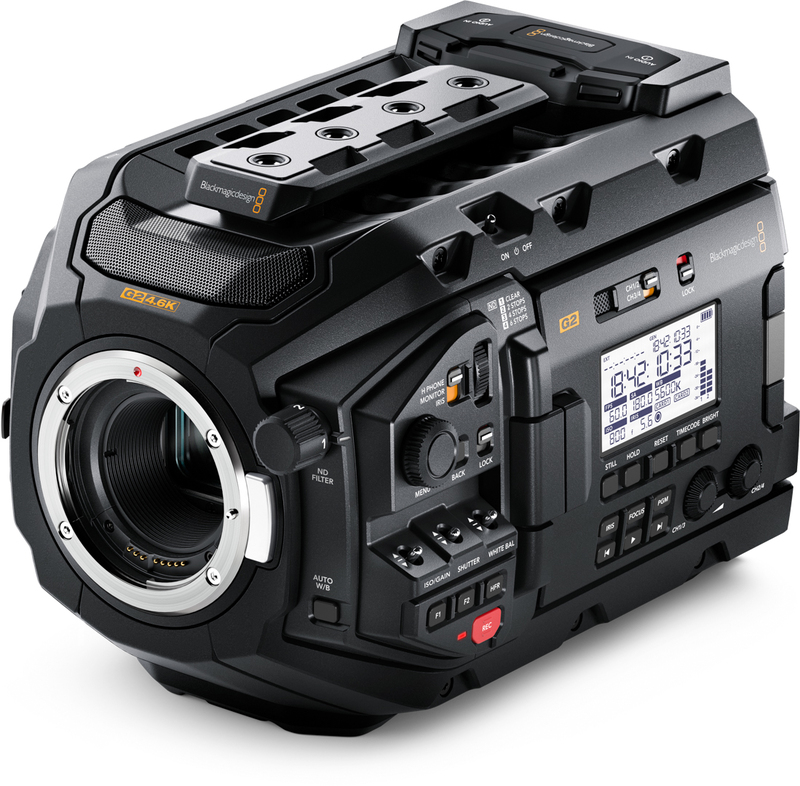 While the second generation URSA Mini Pro 4.6K G2 looks very similar to the original it has fully redesigned electronics and a new Super 35mm 4.6K image sensor with 15 stops of dynamic range and a new 3200 ISO that combine to support high frame rate shooting at up to 300 frames per second in full HD with Blackmagic RAW. In addition, URSA Mini Pro 4.6K G2 has a new USB-C expansion port for direct recording to external disks similar to the Pocket 4K. The new sensor records full 4.6K images at up to 120 frames per second in Blackmagic RAW. 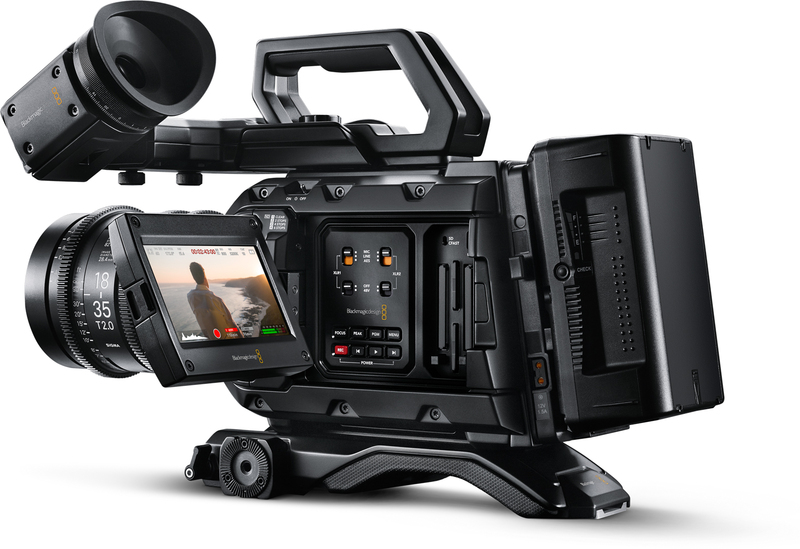 The camera can also do windowed 4K DCI at up 150 frames per second in Blackmagic RAW, 150fps in UHD in Blackmagic RAW and windowed 1080 HD and 2K DCI at 300 frames per second in Blackmagic RAW. With some of these higher frame rates, you will have to use 12:1 compression. 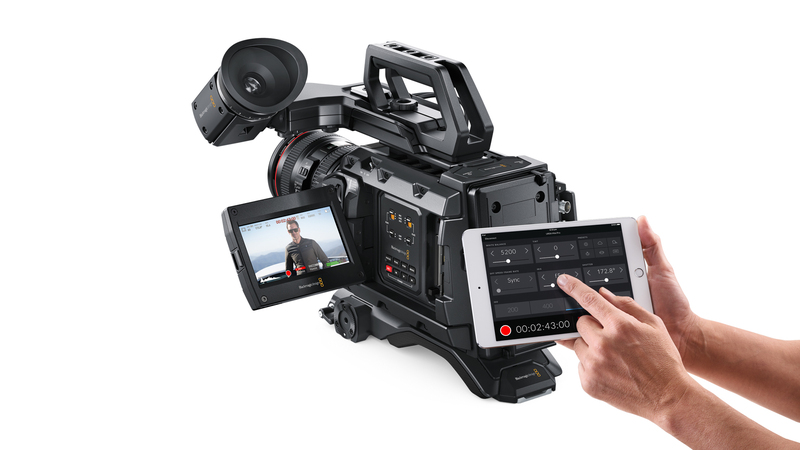 In addition, URSA Mini Pro 4.6K G2 can capture Blackmagic RAW images in both film and extended video modes. If you are shooting in Prores you can do 80fps in 4.6K, 120fps in UHD, and 240fps in HD. According to Blackmagic, the sensor readout is now a lot faster and that should decrease the amount of rolling shutter substantially. 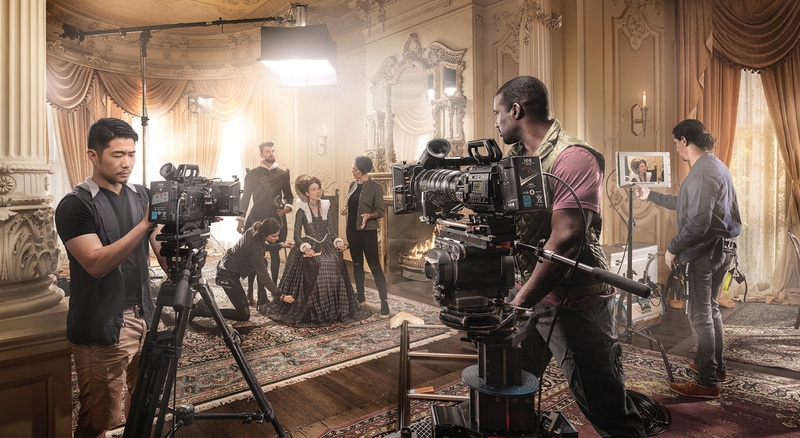 URSA Mini Pro 4.6K G2 also uses Blackmagic Design Generation 4 Color Science for imaging that results in accurate skin tones and improved lifelike colors. Blackmagic RAW images are encoded using a custom non-linear 12-bit space designed to provide the maximum amount of color data and dynamic range. These formats can be recorded onto CFast or SD cards, as well as direct to flash disks using the new USB-C expansion port. URSA Mini Pro 4.6K G2 has a magnesium alloy body designed to be extremely tough and fully featured. There’s an external high visibility backlit LCD status display for viewing critical shooting information, a foldout touch screen for reviewing shots without needing an extra on-set monitor, professional connections such as 12G-SDI, XLR audio, built-in high-quality stereo microphones. Every single control on the camera is redundant, including the power, so if anything should go wrong in the field, the camera can still be used. URSA Mini Pro 4.6K G2 features neutral density (ND) filters with IR compensation for quickly reducing the amount of light that enters the camera. The 2, 4 and 6 stop filters are specifically designed to match the colorimetry of the camera and provide additional latitude, even under harsh lighting conditions. The IR filters evenly compensate for both far red and infrared wavelengths to eliminate IR contamination. The ND filters are true optical filters with a precision mechanism that quickly moves them into place when the ND filter dial is turned. The G2 version also has the ability to embed 3D Luts. With Blackmagic RAW 1.3 you can embed 3D Luts into the RAW clips. There will also be new LUT setting controls inside Davinci Resolve 15.3 which will be released soon. Like the original, the controls are laid out in a logical order that makes them easy to remember so cinematographers can operate the camera without having to look at the buttons, hunt through menus, or take their eye off of the action. 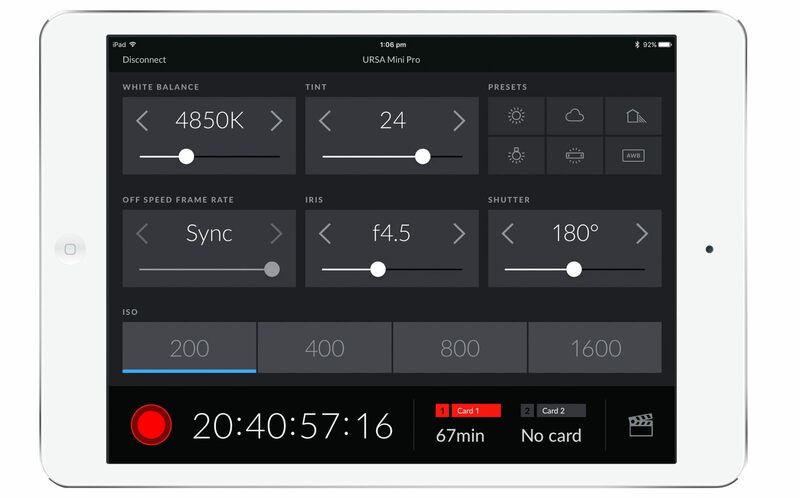 URSA Mini Pro 4.6K G2 also features a high visibility status screen that displays important information such as timecode, shutter and lens settings, battery, recording status, and audio levels. The status display features a backlight and is designed to be clearly visible in both dimly lit studios and outside in direct sunlight. URSA Mini Pro 4.6K G2 comes standard with an interchangeable EF lens mount. 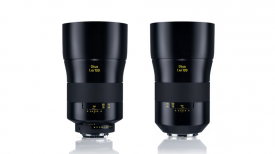 If the camera is being used on a high-end film or commercial shoot that calls for large cinema lenses, simply remove the EF mount and replace it with the optional PL mount. There’s even a B4 broadcast lens mount for working with broadcast HD lenses. URSA Mini Pro 4.6K G2 also includes a standard 12 pin Hirose lens control connector. Blackmagic have also improved the audio circuitry for lower noise on the XLR inputs. There is also new line level adjustments. Featuring both dual C-Fast 2.0 recorders and dual SD UHS-II card recorders, customers can choose the media that works best for their projects. C-Fast cards are ideal for full resolution Blackmagic RAW 12 bit recording, while UHS-II SD cards are inexpensive and commonly available, making them perfect for recording Blackmagic RAW 8:1 or 12:1 for Ultra HD and regular HD files. URSA Mini Pro 4.6K G2 also includes a new high-speed USB-C expansion port for adding accessories such as an SSD for external recording. That means you can now record for even longer durations. Plus, they can record directly onto the same external disks they will use for editing and color correction. Unfortunately, the location of the USB-C is on the operator’s side underneath the LCD screen. This means the LCD screen has to open and the cable will be up against your face if shooting handheld. URSA Mini Pro 4.6K G2 includes the full DaVinci Resolve Studio software, giving customers a complete post-production solution. This powerful software combines professional nonlinear video editing with an advanced color corrector for importing, editing, color correcting, finishing and delivering projects shot on URSA Mini Pro 4.6K G2. DaVinci Resolve Studio works natively with Blackmagic RAW files from the camera, so customers can take them directly into post-production without having to convert or change them. Every single bit of quality is preserved because it is a true lossless workflow. Using DaVinci Resolve Studio is a fast and high-quality way to work with Blackmagic RAW files. A digital film camera with 15 stops of dynamic range. Features all standard connections, including dual XLR mic/line audio inputs with phantom power, 12G-SDI output for monitoring with camera status graphic overlay and separate XLR 4 pin power output for viewfinder power, headphone jack, LANC remote control, and standard 4-pin 12V DC power connection. Includesa full copy of DaVinci Resolve software color grading and editing software. The update looks to be a big one. BRAW is taking over with the new G2 model as Cinema DNG has been removed. 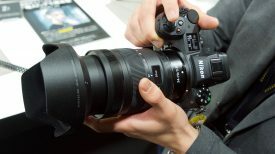 The new sensor and updated electronics should make the camera more reliable with better ISO performance. Having the ability to shoot 300 FPS in windowed full HD is also impressive. I like the image from the original and with improved color science, the G2 could be a very interesting camera. 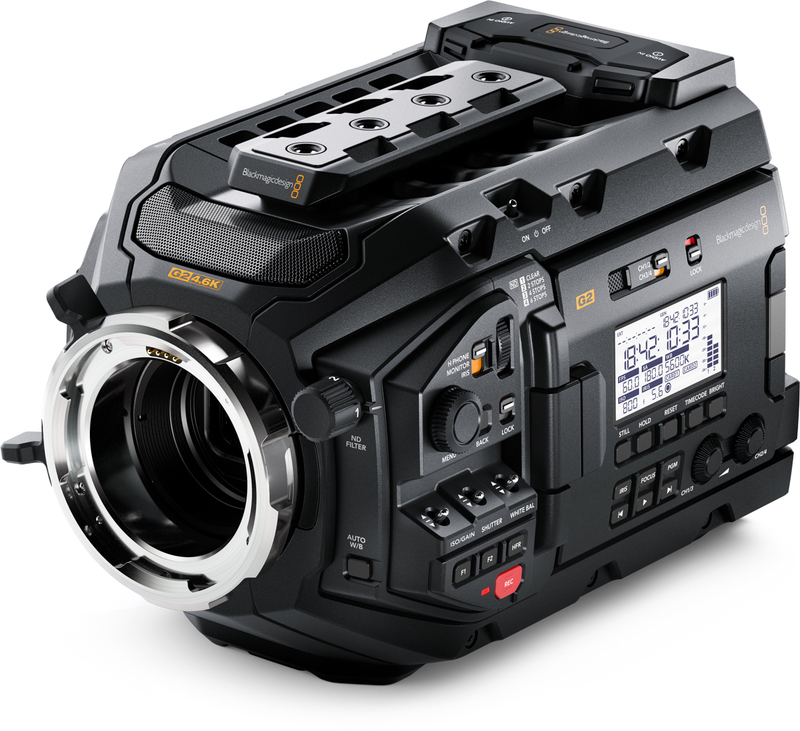 URSA Mini Pro 4.6K G2 is available to pre-order for $5,995 from Blackmagic Design resellers worldwide. 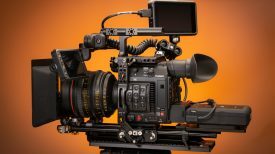 Blackmagic have said that the camera is going into production late next week, but who knows when it will actually start to ship. 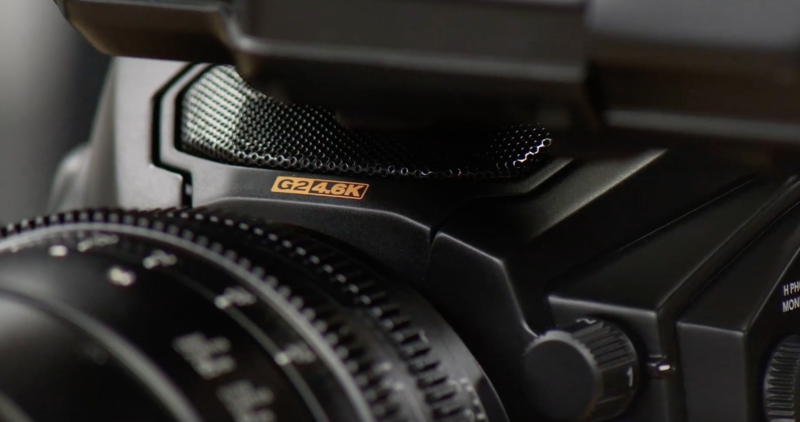 The G2 is a replacement for the original Blackmagic URSA Mini Pro 4.6 K so you should be able to find some good deals on those cameras. 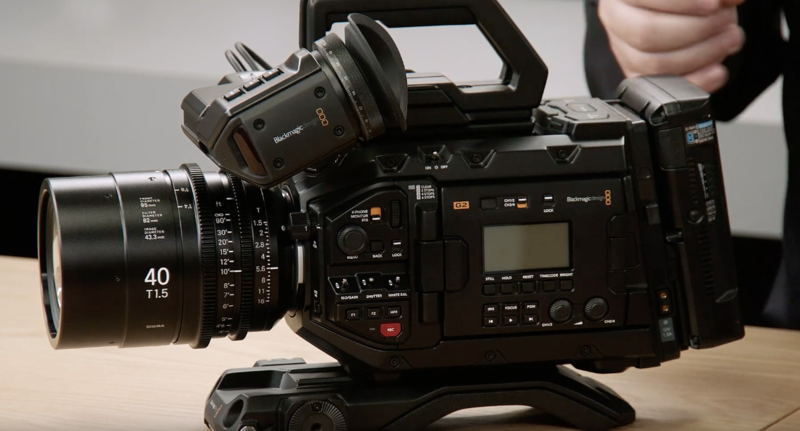 What do you think about the new URSA Mini Pro 4.6K G2? Let us know in the comments section below.